Cancer is a word that brings extreme and intense fear to anyone who hears it. It doesn't have to be the person who receives the diagnosis; it can impact everyone in the circle of influence. My life has never been hit with cancer, but several members of my family and circle of close friends have experienced the diagnosis in their own life. I remember hearing the words from my dad that my cousin had cancer at the age of 16. She and I were born in the same month of the same year so we were very close in age, but not close in relationship. The news impacted my family, and my cousin started to really speak of the condition. She lost her hair and stayed in the marching band as long as she could. I remember her coming to my wedding shower and seeing how frail and weak she had gotten from the drugs. Cancer starts out with a diagnosis and ends up causing a fear so intense that it sometimes seems that people who have had cancer for a long time, but never knew about it, take a quick trip down hill in body and soul, once they are alerted to cancer existing in their body. She fought a good fight but told her mother one day that she didn't want anymore treatment that she was tired and ready to go. 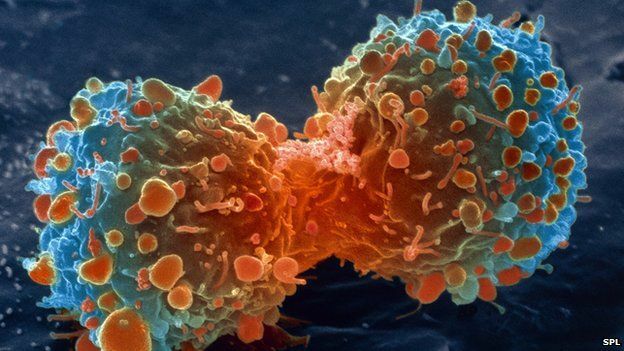 Cancer is a condition that impacts the bodies immune system and as such it triggers all sorts of body responses. Modern day medicine is revealing the power of placebo to treat cancer patients and many new models of healing are being revealed daily. I think it is so important that people who are given the diagnosis of cancer, also have emotion work done to circumvent the fear and the effects of fear on the body system. My cousin has a scholarship fund now set up where she attended school called the "Paige Foster" scholarship and it goes to the student who excels in both music and academics. She truly was a hero in my eyes. If you have been diagnosed with cancer, please try to imaging your life without the disease. Take some time and deeply visualize your blood cells happy and free. Feel into the concept that you can heal yourself with the good vibrations and thoughts of you mind and know that you have choices when cancer has been presented into your life. In honor of my cousin Paige, thank you.